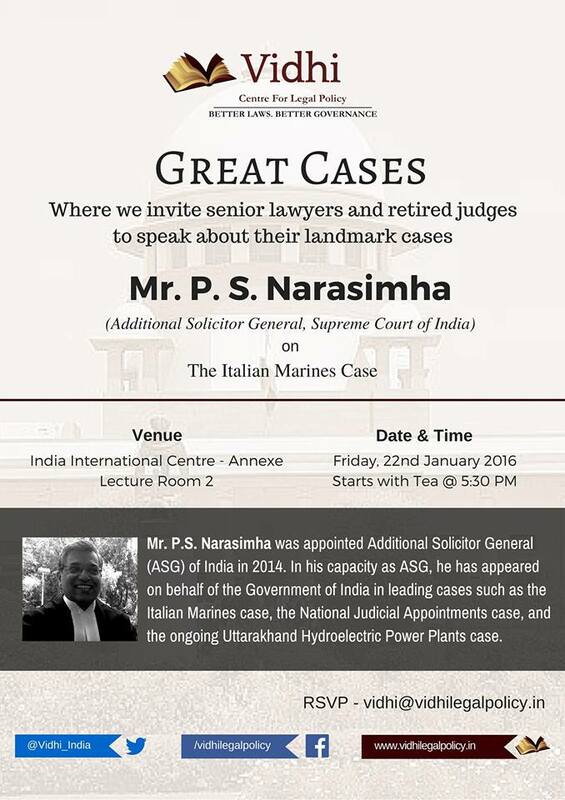 On the 22nd of January, Vidhi continues its 'Great Cases' Series with a talk by Additional Solicitor General (ASG) Mr. P. S. Narasimha on the Italian Marines case. In his capacity as ASG, Mr. Narasimha has appeared on behalf of the Government of India in leading cases such as the National Judicial Appointments Commission case, the Coal Block Allocation case and the ongoing Uttarakhand Hydroelectric Power Plants case. The talk will be held on Friday, January 22nd, 2016 at 5:30 p.m. at the India International Centre - Annexe, Lecture Room 2. Vidhi's Education Initiative is organising an International Conference on Comparative Perspectives on the Right to Education for Minorities and Disadvantaged Groups, in collaboration with the Oxford Human Rights Hub and the Open Society Foundations. It shall take place on 14th and 15th January 2016, at Seminar Halls 1 and 2, India International Centre, 40 Max Mueller Marg, New Delhi - 110003. The aim of this conference is to bring together a diverse group of participants from India, South Africa, UK and other countries, and engage them on the key challenges surrounding the enforcement of the right to education for minorities and disadvantaged groups. The conference will conclude with a Plenary Session on The Role of Courts in Realising the Right to Education. On 5th November, Vidhi organized a panel discussion on the ‘NJAC Verdict Deconstructed’ and its implications on constitutional law and theory in India. The event was moderated by Vidhi’s Research Director Dr. Arghya Sengupta. 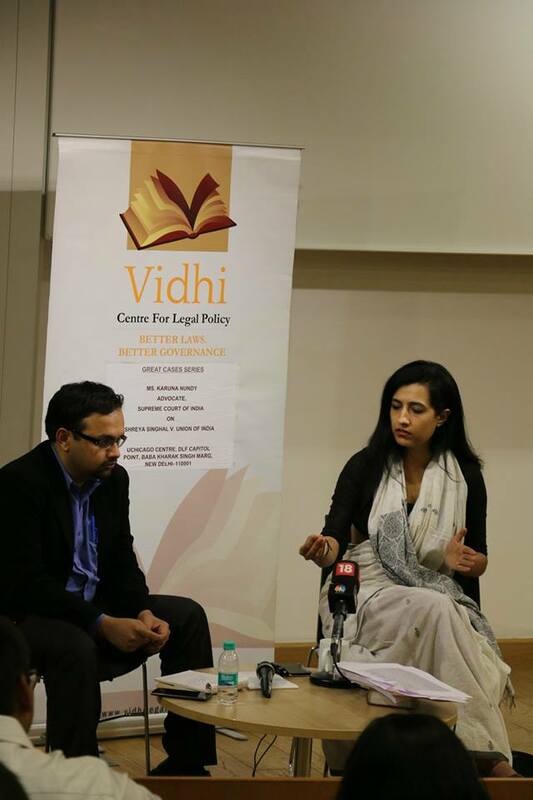 Vidhi invited an eminent group of experts to throw light on the subject. 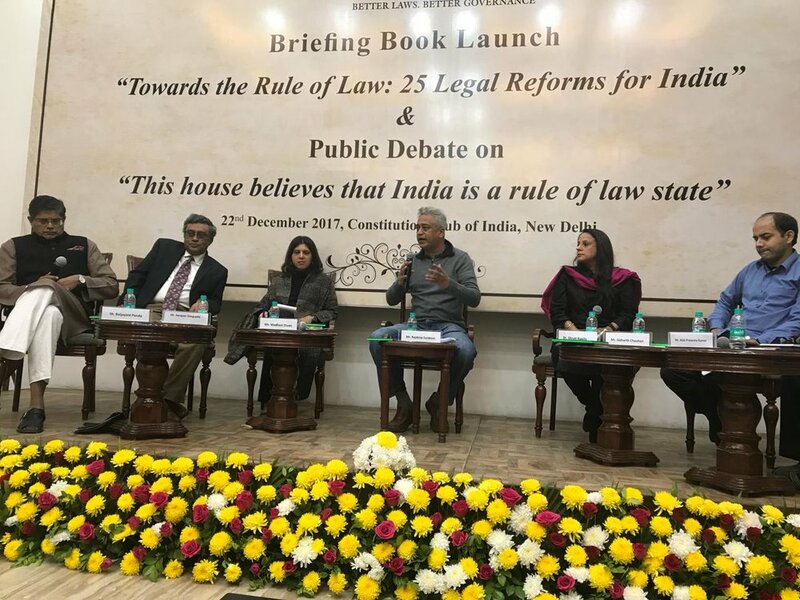 The panel consisted of Mr. Arvind Datar, Senior Advocate, who appeared for the petitioners in the NJAC case; Mr. A K Ganguli Senior Advocate, amicus curiae in the Suraz India case where the Supreme Court first expressed concern about the Collegium; Mr. Raju Ramachandran, Senior Advocate, one of the leading authorities in India on the basic structure doctrine, and Mr. Madhav Khosla, PhD candidate at Harvard University and author of Oxford India's Short Introduction to the Indian Constitution. 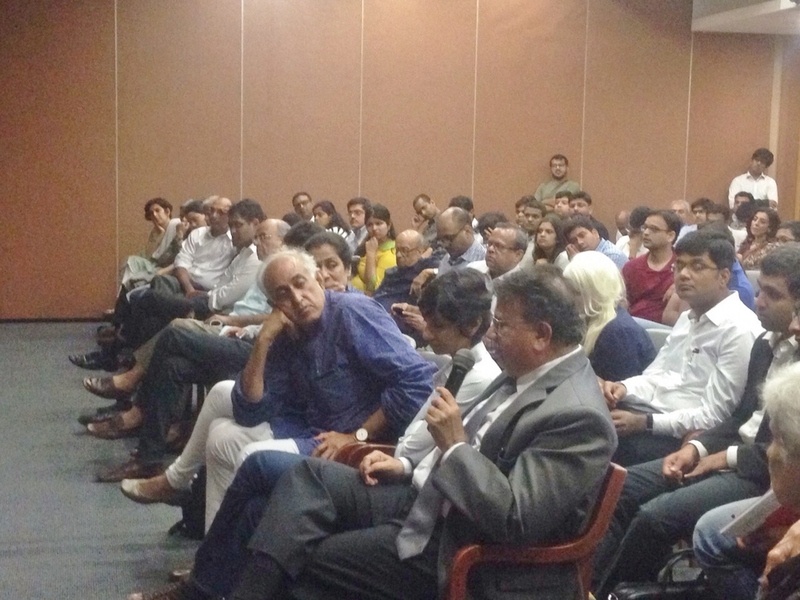 The discussion revolved around four main themes: first, the implications of the judgment for the basic structure doctrine, second, the conceptualisation of judicial independence in the judgment, third, the composition of the NJAC, specifically the inclusion of the Law Minister and the eminent persons, and fourth, the criticisms of the collegium in the case, and the way forward for collegium reform. An engaged audience pushed for greater exploration of these themes in the lively Q&A that followed the panel discussion. On 31st October, Vidhi organized its sixth talk in the 'Great Cases' series by Mr. Mohan Parasaran, Senior Advocate, Supreme Court of India on the Vodafone tax case (Vodafone International Holdings v Union of India). Mr Parasaran, obtained his law degree from the Delhi University and his Masters in Law from the University of Cambridge. He started the practice of law at the Madras High Court in 1985. He was appointed Additional Solicitor General of India in 2004 and served in that capacity till February 2013 when he was appointed Solicitor General of India. In the event organized by Vidhi, Mr. Parasaran spoke about the dispute between Vodafone UK and the Indian Income Tax Department regarding the payment of Rs. 11000 crores as tax deductible at source by Vodafone for its Rs. 55,000 crore purchase of Hutchison Whampoa's mobile phone services business in India. Mr Parasaran appeared on behalf of the Tax Department in all the rounds of litigation concerning the Vodafone case before the Bombay High Court and the Supreme Court in his capacity as the then Additional Solicitor General of India. Vidhi Centre for Legal Policy cordially invites you its fifth talk in the ‪Great Cases‬ series by Mr. Shyam Divan, Senior Advocate, Supreme Court of India on Naz Foundation v. NCT of Delhi and Suresh Kumar Koushal v. Naz Foundation. Mr. Divan is a distinguished lawyer with many years of experience before the High Court of Bombay and the Supreme Court of India. He has been involved in several prominent constitutional law and environmental law cases. He has also co-authored a book titled “Environmental Law and Policy in India”. At this event, Mr. Divan will discuss his reflections on both cases, which have had a lasting impact on LGBT rights. Venue: UChicago Centre, DLF Capitol Point, Baba Kharak Singh Marg, New Delhi - 110001. There are limited number of seats at the venue, so please register on the link given below to provide us with a confirmation of your attendance. In the fourth talk of the Great Cases Series, Senior Advocate Mr. Sidharth Luthra narrated his experiences in the two cases - the Subramaniam Swamy case, relating to Section 6A of the Delhi Special Police Establishment Act, 1946 in the context of investigation of corruption in public offices and in the case relating to the commutation of death sentences of the assassins of Rajiv Gandhi. Mr Luthra also discussed the background of these cases, the legal issues involved and the possible future consequences. Thereafter, a wide-ranging discussion between Mr Luthra and the members of the audience followed, where the two cases as well as various aspects of criminal law and constitutional law were discussed. 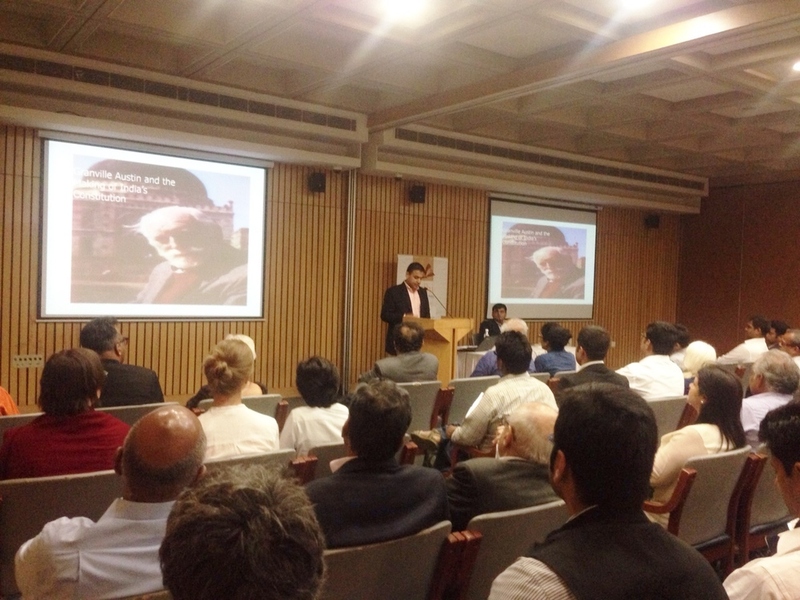 On July 22nd, Vidhi hosted a talk by Mr. Vikram Raghavan, lawyer and mentor at Vidhi, on 'Granville Austin and the Making of India's Constitution. Mr. Raghavan examined the life and work of Granville Austin, who is considered to be one of the foremost authorities on the Indian Constitution. Through the use of rare archival documents and photographs, Mr. Raghavan explored how Mr Austin came to write his two influential works on the Indian Constitution and how they have been received in India by lawyers, experts and lay-persons alike. For those who couldn't join us, as promised, here is a recording of the talk. Hope to see you next time around! UPDATE: We regret to inform you that there are no more available seats for this event. Please check back for the video that will be updated shortly, and stay tuned for future talks! The Vidhi Centre for Legal Policy in association with The Firm (CNBC TV 18) presents, a series of talks on Great Cases where we will be inviting senior lawyers and retired judges to speak about their landmark cases. Vidhi cordially invites you its fourth talk in this series by Mr. Sidharth Luthra, Senior Advocate, Supreme Court of India on the Great Criminal Law Cases of 2014. Mr. Luthra is an alumnus of Hindu College and Faculty of Law, Delhi University and has an M.Phil in Criminology from the University of Cambridge. He has previously served as the Additional Solicitor General of India. Mr. Luthra has appeared in various landmark criminal cases including the judgement on right to suicide, age of juveniles, the mercy plea of Rajiv Gandhi’s assassins and the Tehelka case that related to corruption in defence deals. At the event, he will talk about his experiences in a number of noteworthy criminal cases that came up before the Supreme Court in 2014, including the Subramaniam Swamy case, which related to corruption in public offices and the Sriharan/Murugan cases that dealt with commutation of death sentences. There will be tea and biscuits before the talk at 17:30 and a Q&A after. Please note that in light of hectic work schedules during the week, we have decided to hold the talk on a Saturday evening for the sake of convenience. 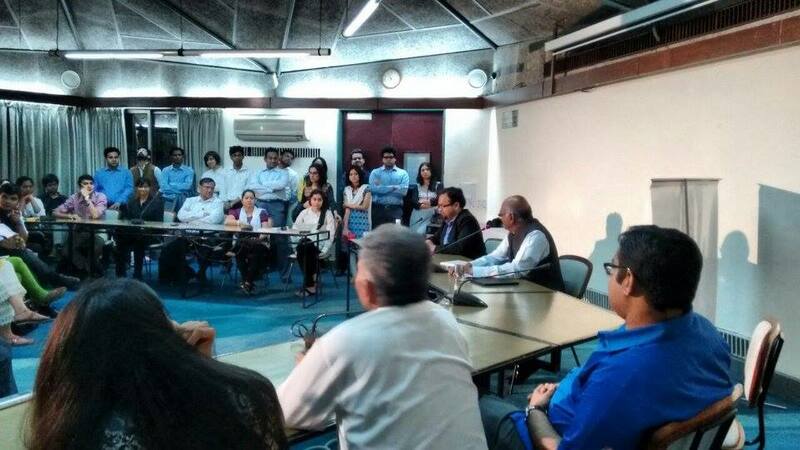 Mr. Raju Ramachandran spoke to an audience of 60-odd lawyers, journalists and scholars about his experiences as amicus curiae to the Supreme Court in the Ajmal Kasab decision. 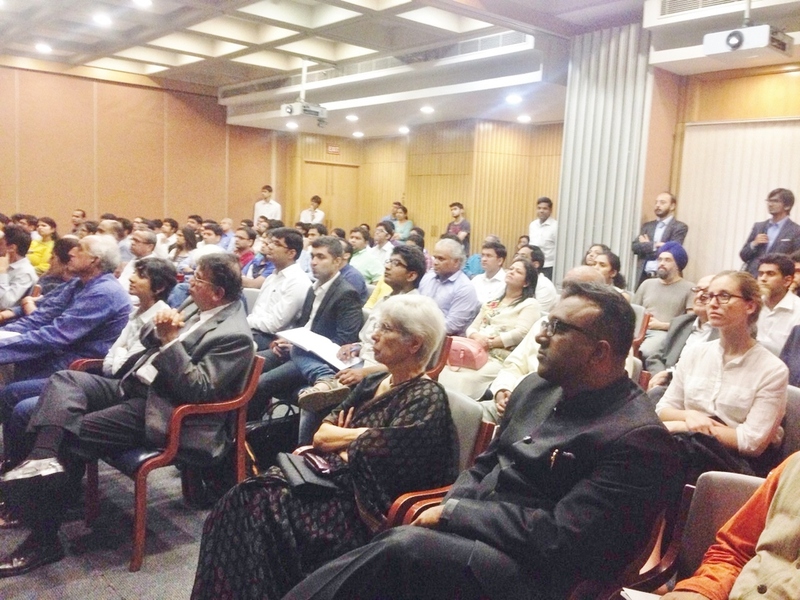 Through his experience of being asked to defend Kasab, the reactions he faced and the arguments presented in Court, he raised larger questions on the role of an amicus, which led to a lively discussion after the talk. A snapshot of the first talk by Mr. Andhyarujina on Kesavananda Bharati case for our series on Great Cases held last Friday at India International Centre.